In addition to the incredible city of Kota, the Pink City of India and the gateway to a number of tourists in Rajasthan, Jaipur is a city with a prodigious history. A constantly increasing trend in the development is presently coming down the benchmark. A small part the Walled City was studied by the First Year students of College of Engineering, Pune as a part of their studio exercise. Planning and Design Lab-II under the exercise named Area Appreciation. Area involves studying an area with respect to various parameters. Various domains like Socio-Economic status, Public Semi-Public Institutions, Transportation, History, and Tourism, etc. were studied in great details. Moreover, the data includes the current situation and provisions to accelerate the development of each sector indeed. Hence, the proposed plans for the betterment of this cultural and historical city has a compilation database of information by making use of primary surveys and secondary data. The city of Jaipur welcomed us with its mixed significances ranging from well- planned roads and infrastructure in modern Jaipur. In addition, this is a trail to a tough state of people living in congested and filth-filled areas in old Jaipur, the Walled City. As observed, the area of Jaipur around the Walled City expanded gradually and has developed according to the need of the hour. Therefore, the Walled City needs restoration to improve its condition and enhance the well – being. This is all for keeping in mind its heritage importance. 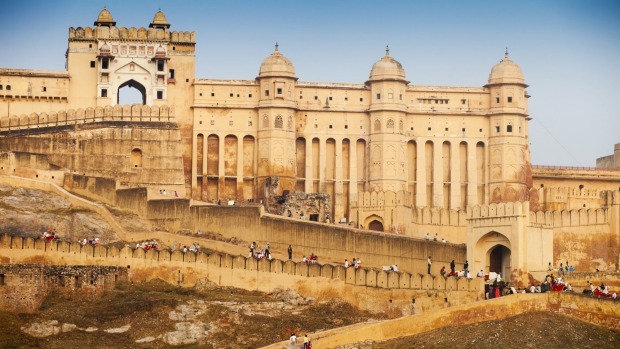 Jaipur has a number of opportunities and scope for betterment in all fields. In addition, urban and regional planning is going on in the unplanned areas, while the planned ones need to be revised. Furthermore, there are various sectors wherein provisions are made. Nevertheless, the viability of the fact is not undergoing evaluation and rectification. And this is what we should be working on now onwards. Problems are undergoing identification, public views and opinions are getting open paneling and discussions. As a result, a note portrays their demands and suggestions extensively. All these things are under a single umbrella and the analysis is thoroughly in process. Consequently, the number of feasible recommendations and proposals are undergoing analysis at every level. The creature that is alive till the efforts and indelible style proclaim about all the actions she commits and all the reactions she deserves. Continuing the notion of - don't stop even if you drop.. Fostering the ideas of immortal fitness and cherishing ideas of incredible happiness gained after serving and writing to stay tuned ever after ... Writer at TNG.